Six weeks ago you lost your job. So far, all your leads have been dead ends and you're starting to get nervous. You did get a package, but it's not going to last forever. buying an existing business, there is a greater than 95 per cent chance that the business will still be in business after five years (provided, of course, that you buy it right). You are now really interested in knowing if you can afford to buy a business. Maybe you've been thinking along the same lines, but unlike the individual in the above scenario, you don't have a severance package—you're still working and you've only got $25,000 put aside. You have a line of credit with your bank that you could draw on, though. Should you even consider it? How much would you need to put down? How much would you need in total? 90% of buyers have from $50,000 - $150,000 that they are willing to risk or spend investing in a business. *all uses of “businesses” here refer to companies with fewer than 10 employees, and less than $3 million in sales. In negotiating a business deal there are many things that are important, but none more so than the price and terms. 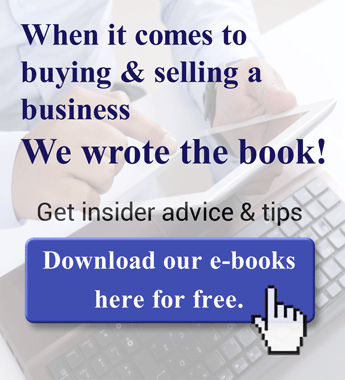 Businesses tend to sell for two to three times what the business makes. Another part of the price and terms is the all-important down payment. The down payment should never take a buyer right out of cash. They will need some working capital to keep the business going, even though an existing business should have an immediate cash flow. Buyers should always keep something aside for the unexpected. And if they're intending to add improvements, that too, should factored in. Although the seller always wants more down payment and the buyer always would like a smaller down payment, somewhere in between is a fair deal that will work for both parties. Keep in mind, too, that negotiating the right deal takes time and effort, typically some three to nine months, and in the meantime you'll still need to pay for your groceries and other family expenses. The terms and conditions on the balance due note (the difference between the down payment and the balance of the purchase price) can be anything that works and is agreeable to both parties. While there are repayment rules of thumb-- a retail business= three years, a garage=five years, manufacturing=eight years--a payment can be amortized at an interest rate over whatever number of years is agreeable. This is not determined by an interest rate, or “prime rate,” set by the Bank of Canada; it is set by negotiations. It is essential though that the buyer ensures that the cash flow of the business they're purchasing is enough to cover their financing payments while still leaving them enough money to live on. An ongoing income is after all what most are looking for, and one of the most important advantages of buying an existing business. 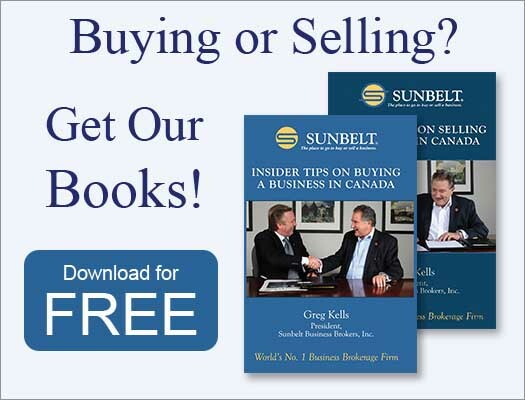 Business brokers can provide insight into all aspects of buying a business including finance relating to your prospective purchase, including down payments, cash operating requirements, vendor financing, bank financing and private financing. Using a professional business intermediary from a reputable firm will save time and effort while providing good counsel to help you prevent costly mistakes. A good intermediary will also have access to businesses before they become public knowledge, so you can get the inside scoop. 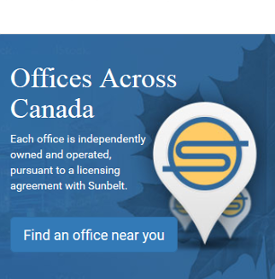 Sunbelt has a network of offices in Canada with existing businesses for sale in all sizes and locations. We have many free resources to help first-time buyers and even experienced entrepreneurs to better prepare for success. Subscribe to our bi-monthly newsletter for timely news and tips. Updated August 2015 with new data.